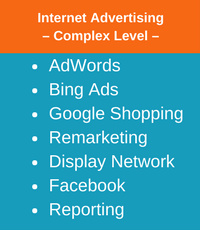 By Adrian Stephenson on Mar 08 in AdWords, Pay Per Click, Remarketing. How many people visit your web site each day? What percentage of them either buy something from you or get in touch to ask about your service as a result of their visit? Shame on you if you don’t know the answers to these simple but important questions! The main purpose of a web site is to get more customers. Simple as that. So, if someone visits your site but decides that they won’t take any action immediately (eg they move on to look at your competitors’ sites), wouldn’t you like to have the opportunity to give them a reminder about your products/services before they have forgotten about you completely? “Yes, but how?” I hear you saying. 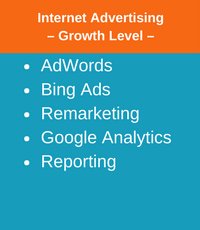 The answer is Remarketing, or retargeting as it is sometimes called. For simplicity I’m just going to discuss Remarketing as it applies to Google, but it also works on the likes of Bing and Facebook. It’s an online tool that gives an advertiser the opportunity to have a second bite of the cherry after someone has left their site without taking any action. To be clear, it is anonymous. So as an advertiser you don’t get to find out that Mrs Jones from 35 West Heath Gardens, Blandford has just been browsing your site. However, what it does let you do is to show Mrs Jones an ad about your business when she is looking at some other sites. This can either be a basic text ad or an ad with images and words, or even an ad with animation. Not only will this jog Mrs Jones’ memory but it may also enhance your business credibility in her eyes. Her perception may be that your company is successful enough to be able to advertise on other sites and is therefore worth a second look. This a fairly simple example of the opportunities that Remarketing brings. At the other end of the spectrum, you may have been searching online for a new fountain pen, and got as far as adding it to a shopping basket on executivepens.com. Then at the crucial moment you get distracted, and before you know it you’ve moved on to do something different. A couple of days later you happen to be browsing your favourite weather forecast site when, out of the blue, an ad catches your attention. It contains a picture of the very same pen as you were just about to buy before you got distracted. It’s a no-brainer. You click the ad. Out comes your credit card and the purchase is made. The pen is on its way to you and Executive Pens have gained a new customer. Wearing your IT hat, you may be wondering how it all works. That’s easy, a cookie gets automatically added to the visitor’s PC or device, which Google recognises and then shows what it believes to be a relevant ad. Wearing your finance hat, you are probably wondering if this is going to blow the budget. Well, typically the cost of somebody clicking on a remarketing ad is less than that of a click on Google Adwords. Not always; just mostly. But the critical thing to remember is that Remarketing ads only get shown to people who have already visited your website. So if they click through to it again, they are almost certainly interested in what you are offering. Changing hats to marketing manager this time, you could be thinking that this Remarketing stuff is all very well, but how often do people click on these types of ads. Another unspecific answer I’m afraid to say, because every advertiser is different and so is every market. 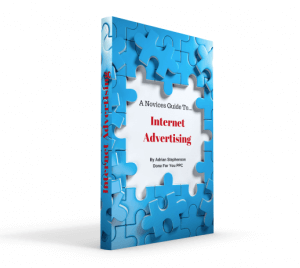 However, even if you have just a couple of click-throughs for every hundred times that your ads are shown, you will be doing okay. I have one client who has an amazing 34% click-through ratio. So by showing the right ads to the right people at the right time you can really start to make Remarketing work for you. Don’t forget that if they don’t click, you don’t pay. There’s no denying that this can be very frustrating. However it is easy to put a limit on the number of times each day that ads are displayed to ex-visitors. Similarly the time period can also be adjusted to an appropriate level. This means that a much more subtle Remarketing campaign can be delivered.The key here is to remember that Remarketing should not be stalking. Instead it should be reminding and prompting, otherwise prospects will never turn into customers. Remarketing works for all visitors to your site regardless of how they got there, whether that be by clicking on a Google ad, or via an organic search (ie clicking on one of the ‘free’ listings), or even from typing in the name of the web site directly into the address bar of their browser. The secret to success is to be as targeted as possible. Google is extremely sophisticated in what it can do with Remarketing, and whilst it is possibly not the easiest thing in the world to set up, it is certainly a very useful weapon to have in your marketing armoury! 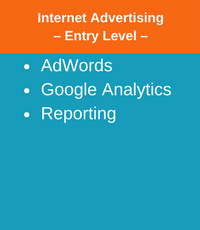 This entry was posted in AdWords, Pay Per Click, Remarketing and tagged Google Adwords, PPC, Remarketing by Adrian Stephenson. Bookmark the permalink.